Gather round! Let us introduce you to MAESTRO! It’s summer. The sun is shining and you’ve invited your nearest and dearest round for a garden party. Luckily you invested in the MAESTRO Lounge Set to provide comfortable seats for everyone. 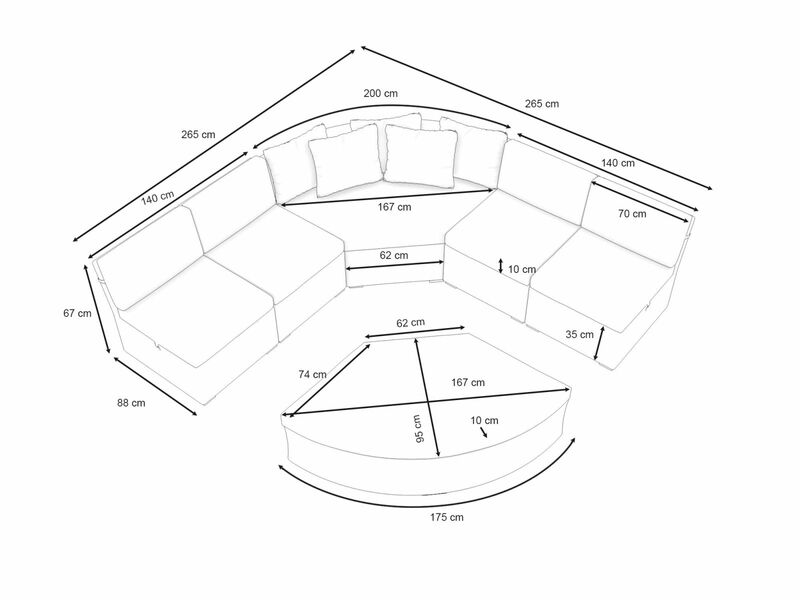 As you can see from the pictures, you can join the stool up to the couch so that you have enough space to stretch out and lie down. Or you can move the stool further away, so that people can sit down in it. Up to 7 people can take advantage of MAESTRO’s comfortable, thick cream coloured cushions. The frame of the set is made from powder-coated aluminium, so you can leave the set outside all year round. Just remember to take the cushions indoors! 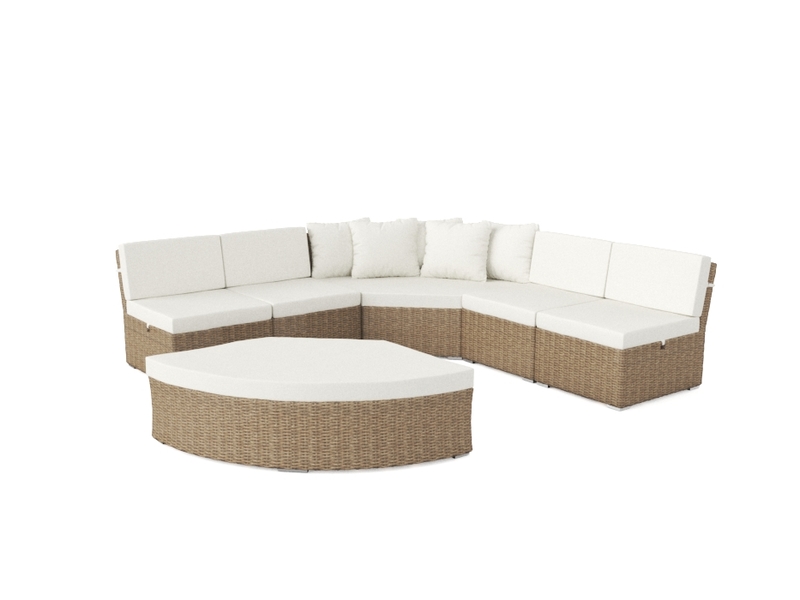 This beautiful rattan set will transform your garden in to a place of magic this summer. The synthetic rattan is weather-proof. The cushions are water-resistant and comply with UKFR (UK fire regulations).